We, all of us, have had at least one adventure in our lives. It may not be as colorful as those heroic quests we read about in stories but we each have experiences like that of our own—the ones that teach and change us so much that we come out of them as completely different persons. PreMYo Rizal was one of my life’s adventures, a journey so unforgettable that even today I can feel the changes it has brought about in my life. For such an extraordinary experience, my story with PreMYo Rizal started off in a surprisingly simple way. I first heard about it through an advertisement on Knowledge Channel, inviting young writers to submit their work. At first, I didn’t seriously consider taking part in the competition. The idea of sharing my work with hundreds of readers seemed terrifying to a shy writer like me and it seemed improbable that anything would come out of it then. I forgot about the competition until some of my batch mates mentioned it online. They encouraged me and the other writers in our level to join the competition so we could represent our school. It was then that I seriously considered giving PreMYo Rizal a try. As I read more about the competition, I realized what a good opportunity it was for an aspiring writer like me. Armed with the encouragement of my friends and family, I soon convinced myself that taking the risk and encountering disappointment later on would be better than living with the regret of not having tried at all. By this point, PreMYo Rizal already changed me for the better. From a fearful girl who wanted to play it safe, I became a determined risk-taker, ready to see PreMYo Rizal through to the very end. Looking back, I realize I was lucky to have that determination—because the process of entering the competition definitely came with its share of hardships. Writing the essay, as it turned out, took away a lot of the time I usually spent for myself or for my studies. Apart from that, I was sometimes frustrated by my inability to put my ideas into words. I wouldn’t have overcome these difficulties were it not for two things. First was the overwhelming amount of support I received from the people around me. I don’t know what I would’ve done without my parents to lift me up with encouraging words or without the friends who talked me through my writer’s block. Neither would I have survived without my coach and my school principal, both of whom gave up so much of their time and energy to advise me and help improve my work. Were it not for PreMYo Rizal, I may never have been able to fully grasp how blessed I am for the people around me. It was through their love and constant understanding that God made miracles possible throughout this whole experience. The second thing that helped me was my sense of purpose in writing the essay. The mere thought of celebrating Rizal through my own work made me want to come up with something insightful and sincere enough to do him justice. I thought of all that he had done to enlighten our country and knew that, in my own way, I wanted to accomplish something like that as well. I made it my goal to talk about what I felt our country needs the most: nationalism. I think that wanting to make my own difference in the minds and hearts of those who would read my work is what drove me to really give that essay my all. I understood then that in writing (and in everything else I do) I should always strive to make a difference and serve a more meaningful purpose. I realized that whether or not I won or lost, I would already accomplish so much if I managed to enlighten or inspire even just one person and change them for the better—just as Dr. Jose Rizal managed to change all us Filipinos with his works. With this in mind, I awaited the results of PreMYo Rizal with an open heart. I knew that whatever happened, I had done my very best and that I was, as my school principal told me, already a winner for having the bravery and initiative to have just given it a try. That being said, it was just an added blessing to have won PreMYo Rizal. The journey towards that point was already a great adventure in itself. Unexpectedly, though, it didn’t just end there. Because I won PreMYo Rizal, my work reached further lengths than I could’ve ever imagined. As a writer, I feel fulfilled by the thought of my ideas being contemplated on by strangers reading my essay online or in newspapers. 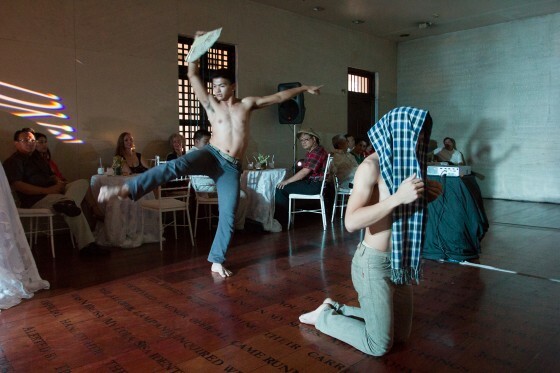 To add to that, last June 19 (on Rizal’s 151st birthday) I had the rare pleasure of seeing my essay turned into a dance movement by the artists of UP Theater. It was a thought-provoking, creatively done performance that left me completely awestruck. That my work can inspire people to create other forms of art is something I can hardly even comprehend. I know that, all my life, I will be forever grateful to the people who have made this experience, this adventure, possible. So to God, my family, my school, and the MyRizal team: thank you so much for giving me the chance to become part of something bigger than myself and to achieve the dreams I never imagined I could reach. I can only hope that all the competitors of PreMYo Rizal 2012 come to feel the same joy my experience has given me and that they too have an adventure they’ll truly never forget.